Field to Cup Tea – Better Than Black Friday 2017 Deal Extended! Extended through Tuesday 11/28, get your first month of Field to Cup’s tea subscription boxes for as low as $1 to $10 when you sign up for 3 months! Box contains: 10g each of 7 different teas, enough for 35+ cups. Box contains: 60+ cups total: 10gr each of 7 different teas, enough for 35+ cups; plus 2oz of Customer Favorite/Seasonal (choose Green, Black, or Herbal), enough for 25+ cups. Box contains: 60+ cups total: 10g each of 6 different teas, enough for 36+ cups, plus 2 additional 20g Premium teas, enough for 24+ Premium cups. Check out our Field to Cup Reviews to learn more! Also includes Free Shipping/Handling to the US. 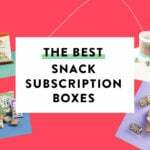 Promotion also applies to Gift Subscriptions. Please allow first box/pack to ship within 5 business days. **Only valid for first time customers. Tea reward points cannot be applied to this promotion, and this will not accrue tea reward points. How do subscribers rate Field To Cup Tea Discoverer Box? Do you subscribe to Field To Cup Tea Discoverer Box? Add your rating now! Sorry about that! We’ll reach out to Field to Cup now! I’m trying to do a 3 month gift subscription for the Tea Discovery box using the link above and although the description says 3 months, it’s only charging me a total of $24.97 (one month) and the discount code says it is invalid. Help?!?!?! Please make sure for the 3 month Tea Discovery Box to use the link shown above, and the specific code: BLACK$DEAL-TDB. That code is also repeated on the product page, just in case you end up on a different deal page than the one you intended. Please reach out to us at [email protected], if you need any further assistance! Thanks so much for your response. I just tried again and there seemed to be more selections on the main page (that included the time period drop down as 3 months) and the checkout page looked different too…so it appears to have worked this time. Maybe it just didn’t load right/fully the first time or I missed something. Thanks again. Of course! We look forward to sending you some delicious teas. And Happy Thanksgiving!